You have put a great deal of thought and work into this Andy… The ST1100 is a difficulty bike to make look well-proportioned naps a naked bike… I have a couple of ST1100s, one that I bought 3 years ago to do a long “adventure” on, and the second I picked up last year as a “spares or repair” project – it had been dropped and the cost of new plastics exceeded the value of the bike. 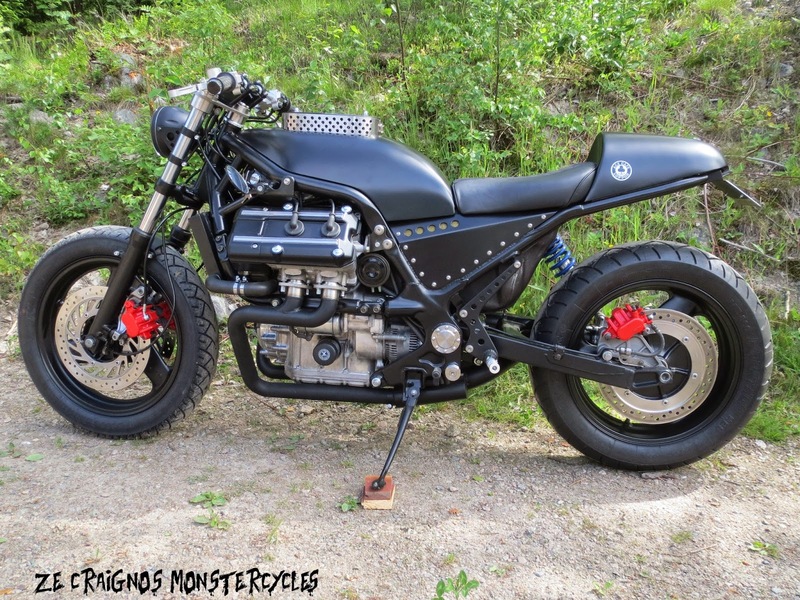 Anyway, I am still unsure if I will repair the dropped bike or remodel it into a naked bike, so your own project is of interest to me…. Thanks for your comments Winton. I agree with you, it is difficult to make the ST1100 look good naked. I’m not wholly satisfied with it even after all this work. The best ones I have seen have been trikes, where the builder has had more space to relocate things like the battery. If you do decide to put your dropped bike on the road I would be interested to hear how you get on, and happy to answer any questions on my project. Great blog. Looking to do something similar. My fear is the wiring. Is there lots and where do you hide it? Also did you see this one? Thanks Michael. I don’t think wiring is something to fear. My Pan was the non-ABS version, so there is less wiring than for ABS. I’ll try to post a bit more about the wiring soon. For the first version of the bike, the only changes I made were to pull out a lot of redundant non-standard wires, and remove the tilt cut-out system which was bulky and not working anyway. That just needed a couple of wires to be cut and joined – I’ll post the details. The remaining relays that used to sit on the front fairing subframe (headlight relays etc.) were just tucked behind the headstock. I’ve been collecting pictures of other modified Pans for a few years (but unfortunately not the urls), and the one in the link is one of the better ones. Good luck with your project.